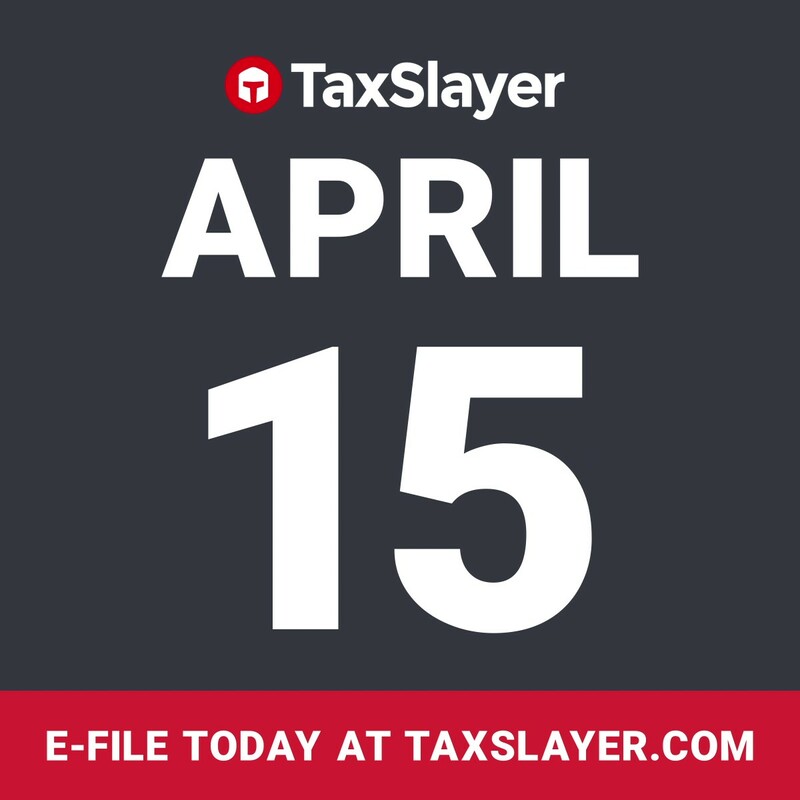 AUGUSTA, Ga., April 9, 2019 /PRNewswire/ -- TaxSlayer, a leading online and professional tax and financial company, is reminding America's taxpayers that the deadline to file for tax year 2018 is just days away. To be considered on time, returns must be submitted to the IRS no later than midnight on April 15th. The countdown to tax day is on! If you haven't e-filed yet, TaxSlayer wants you to get your maximum refund. Start for free today at TaxSlayer.com. You pay your taxes once a year, but your money matters all year long. 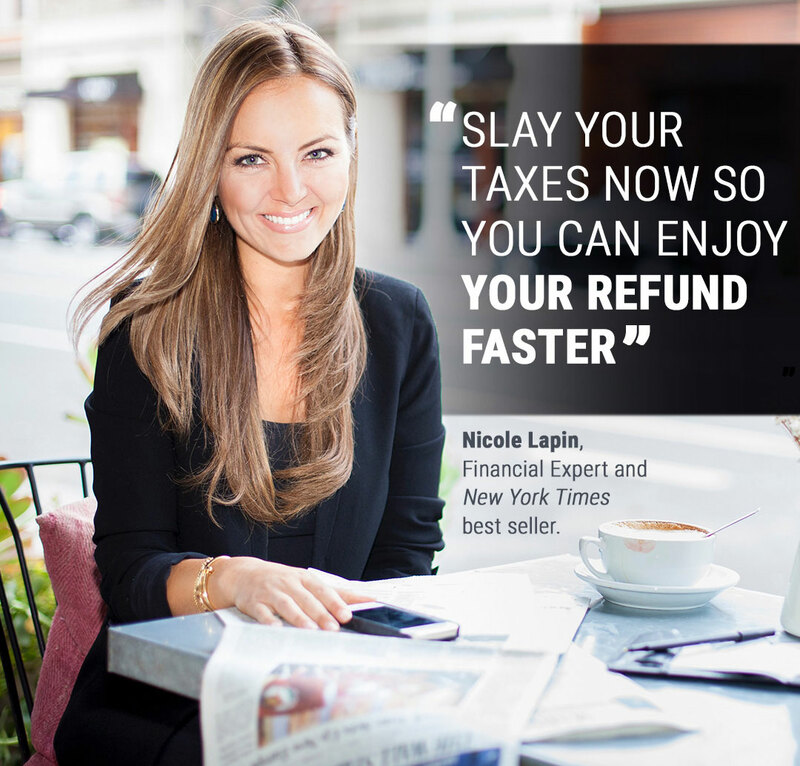 That's why TaxSlayer is teaming up with financial expert, Nicole Lapin. Together, we're giving you a powerful combination of smart money tips and tax advice, so you can master your finances and slay your taxes. 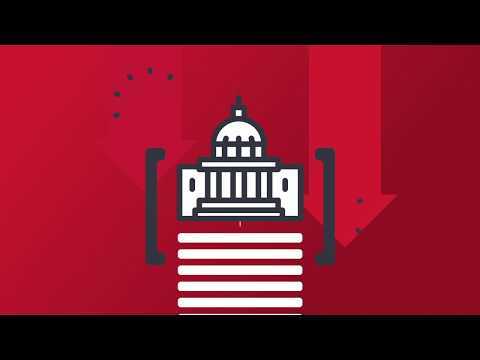 Get your max refund today at TaxSlayer.com. "Simple mistakes are easy to commit under pressure and can cause your refund to be delayed," says Nicole Lapin, personal finance expert and New York Times best-selling author. "Avoid tax-panic at the deadline and get pumped to fight for your money now." As tax season draws to a close, time is of the essence for anyone who hasn't filed already. Lapin has a few essential tips to help these individuals save time and ensure accuracy on their return. "You should have all of your forms and tax documents in hand by the end of February or mid-March at the latest. The sooner you file, the faster you can enjoy your refund," says Lapin "and the sooner you can check taxes off your to-do list." "Filing your taxes doesn't have to consume you. TaxSlayer makes the process quick and easy to understand, and you'll know if your return was accepted within just 48 hours," says Lapin. "The tax laws changed this year. That means you could be eligible for more tax breaks than you realize," Lapin says. "Be thorough when you are entering your tax information. It's your money – you deserve every dollar." TaxSlayer knows that self-employed taxpayers, in particular, tend to file later in the tax season. 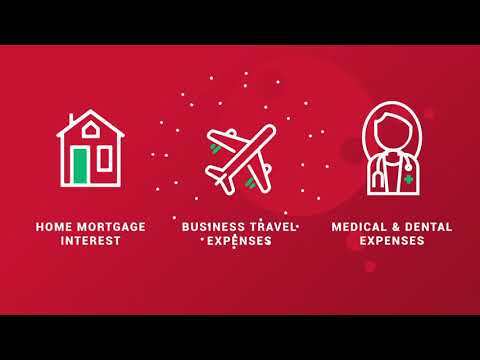 To best serve the needs of the gig worker, the freelancer, and the small business owner, TaxSlayer's Self-Employed Edition comes with specific features, like one-on-one support from a tax professional, an exclusive guide to self-employment tax breaks, record-keeping tips, and tax filing updates year-round.